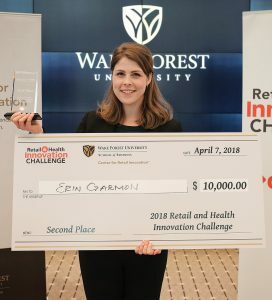 Creative ideas presented at the Fifth Annual Retail & Health Innovation Challenge previewed how technology may help consumers track and manage their health in the future. The Challenge was hosted by Wake Forest University School of Business and its Center for Retail Innovation. CVS Health sponsored the competition. The Challenge sought a broad range of ideas at the intersection of retail and health that could be implemented in the marketplace, and ultimately drive retail revenue. Teams of student innovators pitched their ideas to a panel of industry judges at the event. Each team competed for cash prizes totaling nearly $40,000. Here’s how the Challenge works: Each team has two minutes to pitch their innovative idea to industry experts — no products, demonstrations, or materials allowed. At the end of the first round, five teams are selected as finalists. Each is invited to give the judges a 20-minute presentation to offer more information and answer questions. Industry experts from the Association of National Advertisers, IBM Corporation, the National Association of Chain Drug Stores, and the Wake Forest University School of Business served as judges during the competition. The event delivers a real-life experience for participants who have to communicate their ideas and think on their feet.  The Wake Forest School of Business teams were made up of students from the Master of Arts in Management (MA) and Master of Science in Business Analytics (MSBA) programs. Both are 10-month programs for students with less than two years of work experience. Erin Garmon (MA ’18, MMS ’20) took home $10,000 for her idea. Garmon proposed a three-pronged service to help people with seasonal allergies treat their symptoms. A bundled package of over-the-counter medications proven to be both safe and effective; a retail pharmacy subscription service that delivers OTC medications to increase compliance; and access to expert help at walk-in clinics like the CVS Minute Clinic would provide a total solution. Garmon is enrolled in the Emerging Leaders Program, a 34-month sequential degree program where students first earn a Master’s in Management from the School of Business and then earn an MMS in Physician Assistant Studies within the Wake Forest School of Medicine. Master’s in Management student Maggie Whitley (MA ’18) proposed a digital app with a virtual wellness assistant named “Stevie,” which earned her a check for $5,000. Wake Forest MS in Business Analytics (MSBA) students Tanner Sowa and Jamey McDowell won $2,500 for their idea for an incentive program that rewards consumers with discounts on retail products when they maintain on-time prescription refills. “Refill Rollback” would also collect data to share with insurance providers to help lower insurance premiums. Wake Forest students Samuel Mao (MSBA ’18) and Kimmy Zhang (MA ’18) proposed using data analytics to identify the potential misuse of prescription opioids and use the retail pharmacy channel to provide wellness education to at-risk individuals. A team of MBA students from Duke University pitched a personal nutrition platform that aggregates personal health, lifestyle, and nutrition data to identify gaps in a person’s diet. The digital app would act as a personal shopper and recommend products such as specific foods or supplements to narrow the dietary gaps. They took home a check for $20,000. The Retail & Health Innovation Challenge, and its predecessor, the Elevator Competition, has been run by students since it began 17 years ago. Student co-chairs handle all aspects of event planning and logistics for the annual competition. 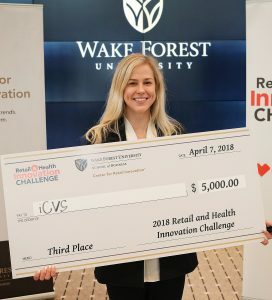 Organizing one of the biggest events hosted by the Wake Forest University Center for Retail Innovation gives students real-world experience and insights.